A Virginia woman called 911 to claim a pot dealer robbed her at gunpoint, but detectives later discovered a different story, say Prince William County Police. 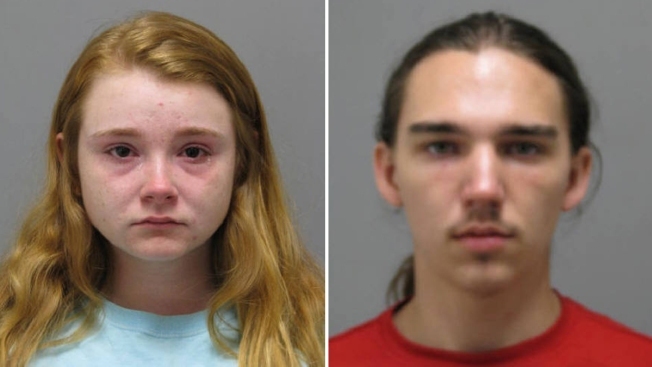 Authorities say 19-year-old Amanda Paige Twomey called police around 5:10 p.m. Sunday and told them she was robbed after making arrangements to buy pot in Woodbridge. Twomey claimed that when she met with 20-year-old Jackson Crisler in the 13400 block of Longwood Manor Court, he pulled out a gun and demanded her money. She said that she complied, and he left without giving her the marijuana. However, detectives say that during the investigation that followed, they discovered that Twomey voluntarily gave Crisler money to buy marijuana from another person. They say Crisler instead kept the money without giving Twomey the pot. After not receiving the drugs, Twomey called police to report the robbery. Following an investigation, both Twomey and Crisler were arrested. Twomey, of Woodbridge, is charged with filing a false police report and attempted possession of marijuana. Crisler, also of Woodbridge, is charged with attempted possession with intent to distribute marijuana. Both were ordered held without bond. They are due in court Oct. 28.